Have you visited Hat Yai, Thailand? Well, if you are a Penangite like myself I am sure you have. Yes, one of the perks of being a Penangite is that we are very close to one of the district in our neighbouring country Thailand and Hat Yai is the largest city in Songkhla Province and one of the largest cities in Thailand as well. 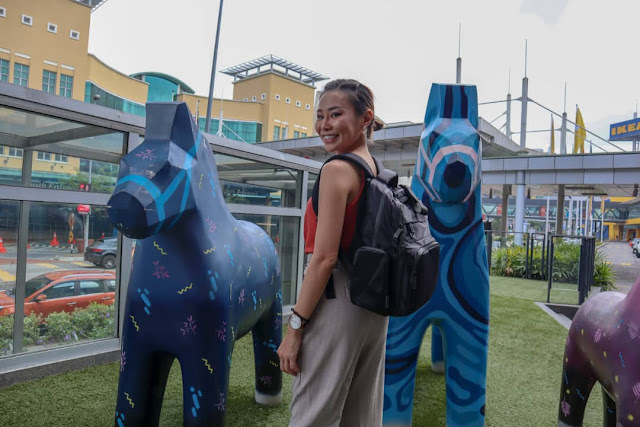 Over the years, I have became very fond of Hat Yai, and it has always been my option for a short quick breather or a dose of Authentic Thai food and desserts and not to forget affordable massages and Thai Smiles. Yes, the Thai people are always welcoming with a smile, living up to their nickname ‘The Land of Smiles’. 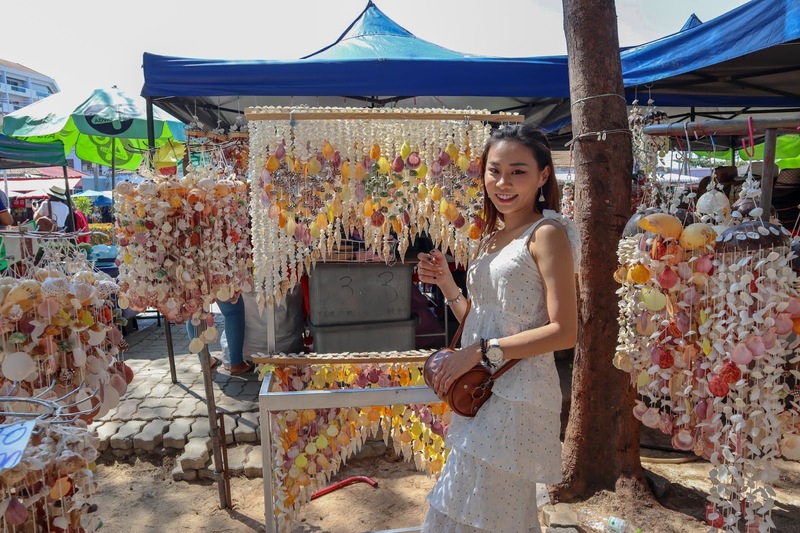 Getting into Hat Yai Southern Thailand is quite easy especially for those in the north of Malaysia [ Penang, Perlis, Kedah ] as you can easily drive in crossing the Bukit Kayu Hitam border or take a Van. Yes, you may also Fly into Hat Yai directly or take the train to Padang Besar and take a van into Hatyai. 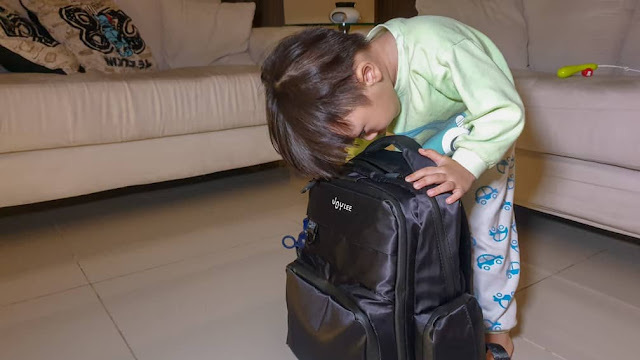 Driving into Hat Yai from Penang will roughly take about 3 hours, and as long as all the necessary documents are in place the whole process is usually hassle-free. haven’t fully explored Hatyai as most of my trips would be a 2D1N until this recent trip with the Tourism Authority of Thailand and this would have been my longest and most fruitful trip in Hatyai, a 4D3N as I have discovered many new places for food which I will be sharing separate posts. This trip, we were staying at Siam Oriental Hotel, a 3 Star hotel located 181 Sripoovanart Road. 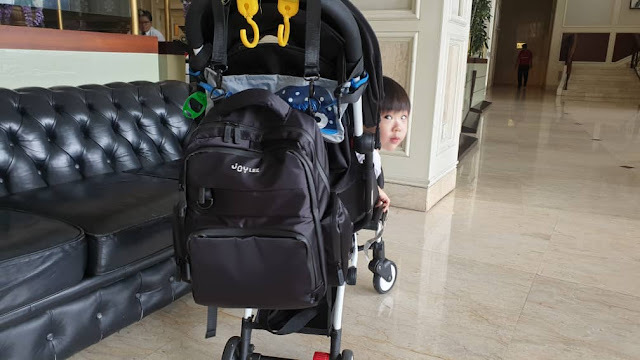 Siam Oriental Hotel offers a pleasant stay in Hatyai, there is Free in-room Wi-Fi available and if you are driving there are parking spaces available too. Hat Yai International airport is located just approximately 15 km away and the Hat Yai bus station is less than 1km away. There are several popular place near this hotel and that includes Hat Yai MagicEye 3D Museum, Greenway Night Market, Diana Shopping Complex and Central Festival is just 1.6km away which is about a 20-30 mins walk. If you are worried about the language barrier, fret not because the staffs at Siam Oriental Hat Yai speaks English. 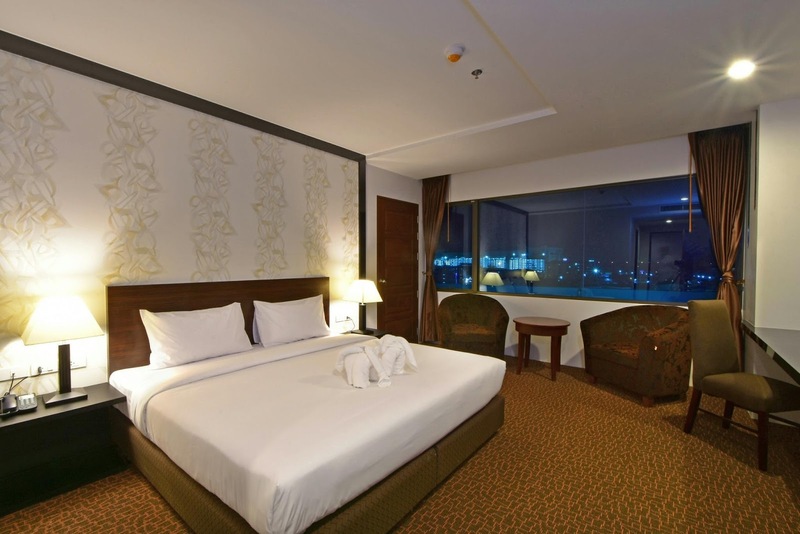 The rooms at Siam Oriental Hat Yai is spacious and equipped with all the necessary amenities. All rooms are equipped with air conditioning, a flat-screen TV with satellite channels, a kettle, a bath, free toiletries and a desk. The private bathroom is equipped with a shower and All rooms have a seating area as well. Do remember that Thailand uses the 220V AC electricity. Power outlets most commonly feature two-prong round or flat sockets so remember to bring a Converter. Getting around Hat Yai is easy, as you can easily hail a tuk tuk [Thai Taxi] . 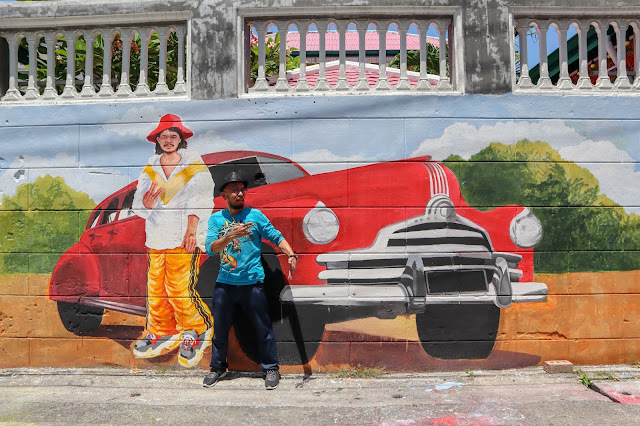 When visiting Thailand the Tuk Tuk experience is a must as it is definitely an new experience for first times and I personally feel that the tuk tuk is the most ideal mode of transportation in a Hat Yai besides walking. Other alternatives are “Songthaew” which is a public transport in the form of a pickup truck and these trucks are painted in different colors for different routes. There are also motorbike public transport where you will be able to ride pillion. Do note however that not everyone in Thailand speaks English, if you know other chinese dialects [ Hokkien or Teochew ] or Bahasa Malaysia it would be of great help. If the above isn’t your cup of tea, you may also book a taxi. Another alternative would be to install and use Grab which was introduce back in November 2017 so it's still fairly new. 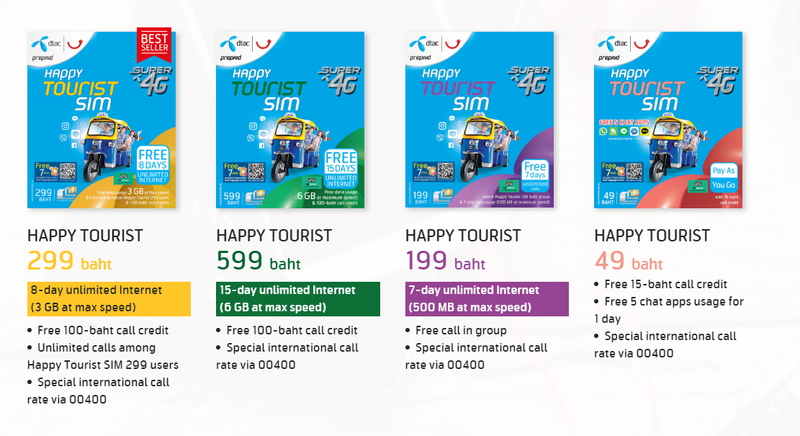 get a Tourist Mobile SIM Card. The are several telco providers in Thailand such as AIS, TRUE and DTAC. My personal favourite would be DTAC which can be easily found. 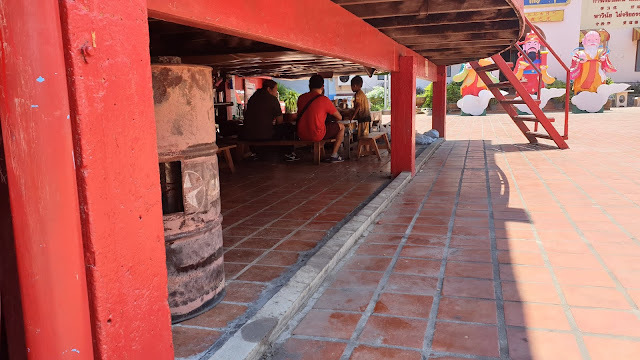 I usually drive into Hatyai from Penang so before getting into Hat Yai we would usually get out SIM card at one of the rest stops before entering the border or just immediately after entering the Thai border there will be many shops selling. Do note that you will need your passport to activate the SIM Card. What to do in Hat Yai? 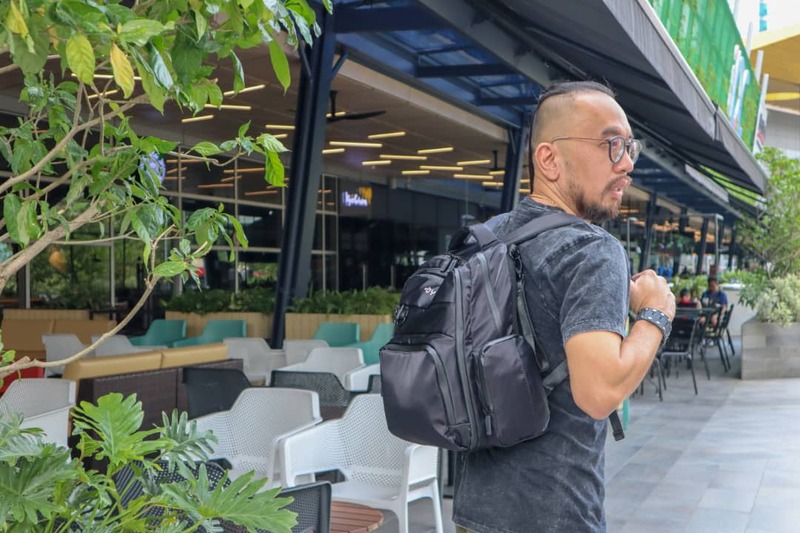 There is so much to do and this post alone I wouldn’t be able toshare everything with you so I am going to share a few of favourite places to visit in Hat Yai. One of the must visit will be the Hat Yai Cable Car which is located at the Hat Yai Municipal Park and offers an amazing view of the city and on top of Khao Kho Hong mountain within the Hat Yai Municipal park is the Phra Buddha Mongkol Maharaj which is the image of a Standing Buddha at 19.9 meters high. and after paying respect to the sacred statue you can enjoy a panoramic view of Hat Yai City. I would suggest that you go in the evening to catch the sunset. Hop on the red gondola of the cable car to see another angle of the city which will deliver to Thao Maha Phrom station. The ticket is 200 baht for thais and 300 baht for foreigners, children pay half price. 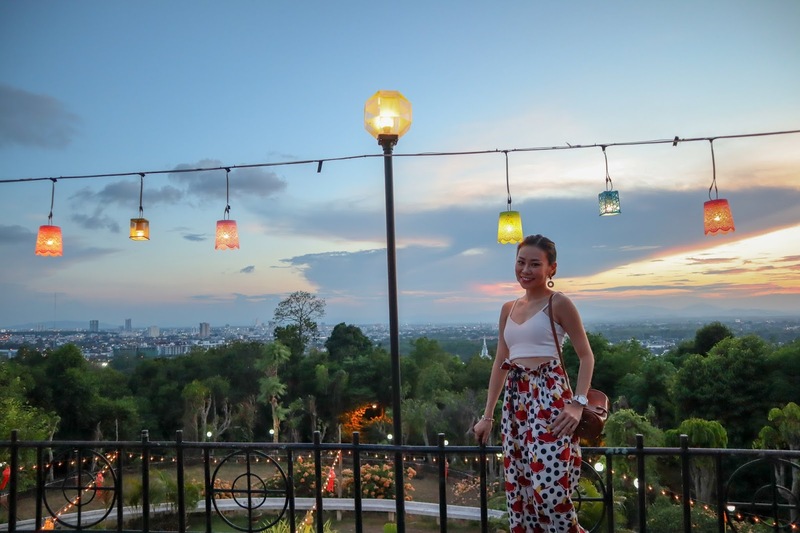 After all the sightseeing around here you can have dinner at Ban Khao Restaurant where you can get really amazing Thai Food with the best view of the city. Remember to order the pork knuckles. You can read more about the restaurant in my other post. 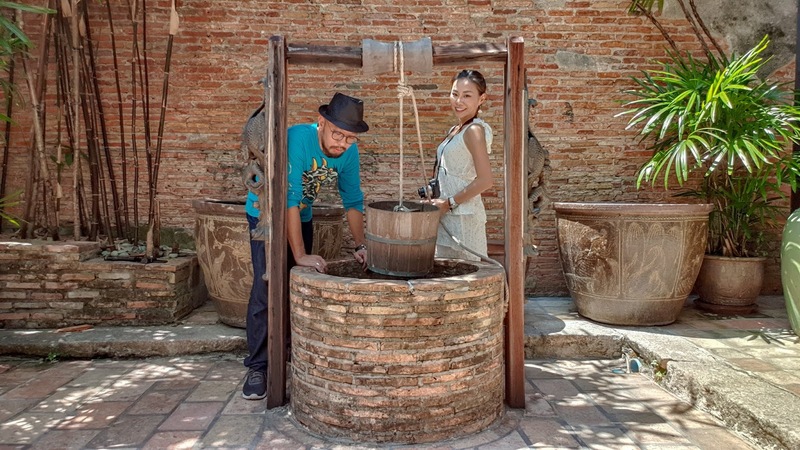 Take a day trip and visit Songkhla which is 29 km from Hat Yai. 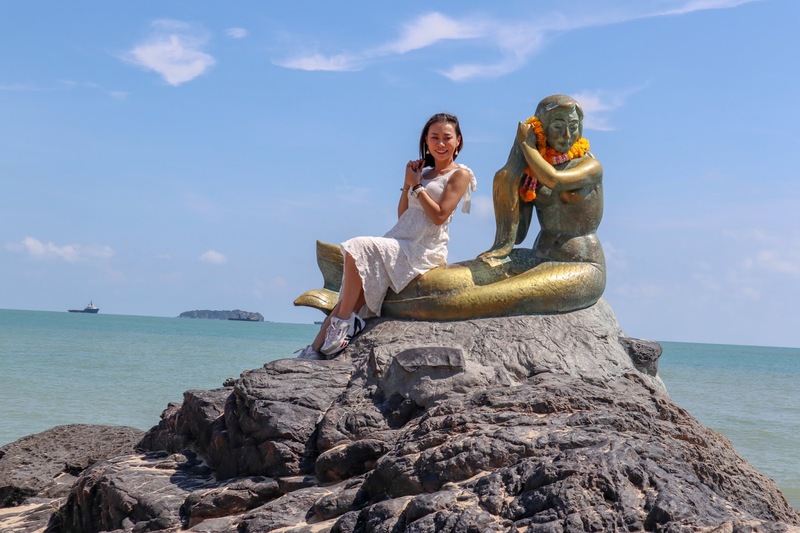 Visit the Mermaid Statue at Samila Beach, and take a photo with her because it is said that if you visit her or take a picture with her you will surely return to Songkhla again and again and every time you do you will till visit her and I think it's true because There are also 2 island which resembles a cat and a mouse behind the sculpture. Every time I am in Songkhla that seems to be the first thing that I do. Lol. Samila beach overlooks the Gulf of Thailand and the view is amazing. Do not miss visiting Old Town Songkhla where you will find many street arts, cafes and old heritage buildings on Nang Ngam road. Look for hidden graffiti, hidden cafes and street food around town. Do forget to Visit Baan Nakorn Museum while you are at Songkhla, it is worth the visit and entrance is free. This museum is in an old colonial building much similar to what we have here in Penanag, the difference of course is the history. Inside the museum you will find a cllection of furnitures, bedding, fabrics , porcelain vases and old photos of the kings. There is also a glass floor on the second floor. While you are walking along Nang Ngam road look for Songkhla’s Shirne City Pillar. It is a small shrine but what is is one of significant places in the Songkhla province. Take a look at the stage opposite the shrine and look below thw stage, if observe closely you will see that there not observant enough you might miss it! I missed it the first time and had to is actually a food stall selling ‘Koey Teow’ underneath the stage, if you are walk back to see it after my guide told me. 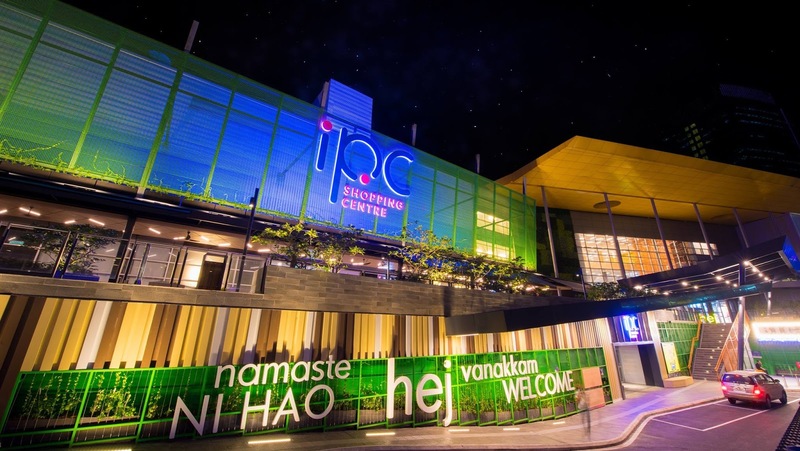 Visit Central Festival Hatyai which is the biggest mall in Hatyai. There is a variety of shops, food, cafe’, and entertainment complex like cinema and fitness center and hall. This malls opens at 11am and closes at 9pm, and Friday - Sunday 10am - 9.30pm. I personally love shopping here because its in an air what? ‘After You’ cafe will be opening here in June 2019! I am so conditioned environment and there are many local designer brands and guess excited for this. Last but not least 7-11, Big C, or Tesco is a must visit when in Thailand. Lays Potato Chips has always been a must in my list, and also beverages such. 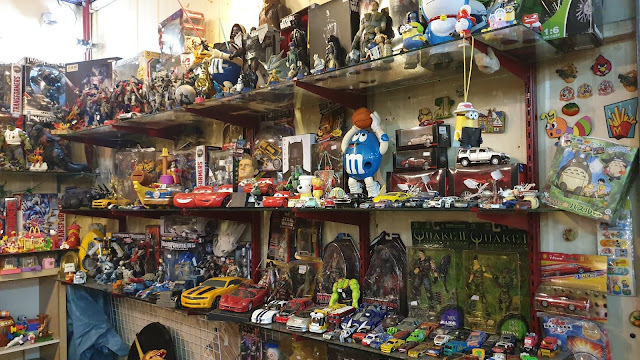 So if you have never visited Hat Yai, I hope my simple walk-through would be helpful for you. I think this is one place I will be frequenting my whole life because this is the most affordable overseas trip for us in the North of Malaysia. Lol. Next I will be sharing about the food in Hatyai!